A symbol representing the type of user object is shown here. 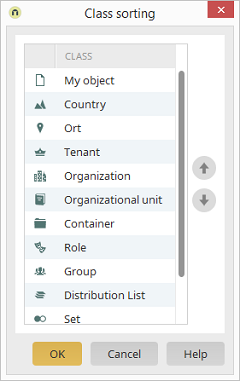 The sortable objects are listed here. The order that the objects are shown in, e.g. in the list view, can be modified with these buttons.